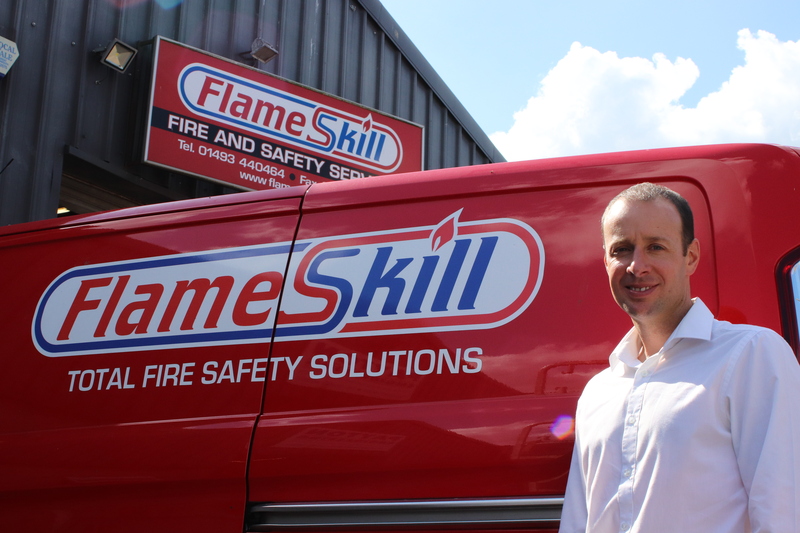 Burgeoning Norfolk company Flameskill has taken on a new business manager as it seeks to expand the products and services it offers to the energy sector and beyond. Chris Pimlott, 44, has more than 25 years of experience in fire protection under his belt and has joined the Great Yarmouth-based firm as it celebrates its 30th anniversary and a record year. Flameskill has diversified since the downturn in the oil and gas sector several years ago, supplying and maintaining safety equipment and landing lucrative contracts for illuminated helidecks on offshore platforms. “Flameskill has had a record year to the end of August and all the signs are good for this year too, so I’m joining at an exciting time,” said Chris. “This is a new role for the company and I will be looking at the whole sales function and bringing in new clients and new areas of business. “Flameskill has always been involved in the energy sector, so we are looking to expand in that, but also into general industry as well. When Chis left Benjamin Britten High School in Lowestoft, Suffolk, he had ambitions to be a firefighter. So, when he signed up for a YTS (Youth Training Scheme) at 17 he was given two weeks’ work experience with Wood Group Fire Protection. That led to his first job as a workshop technician and later as a service engineer after the company was taken over by Tyco. In 2001 he transferred to Scott Safety, a Tyco company, where he was a business development account manager until May this year. “When I moved to Scott I missed the local connection with the energy sector which I had worked in for 19 years,” said Chris.